Luca is a young boy raised in Florence, Italy. He is the illegitimate son of an Italian businessman and a seamstress who died when Luca was a baby. Not receiving attention from his father, he is taken care of by Mary Wallace, the British secretary to the boy’s father. Mary belongs to a group of British and American women who meet for tea at the same restaurant every afternoon. The group, known as the Scorpioni, consists of Mary Wallace, Lady Hester the British Ambassador’s widow, Arabella, and two American women, Elsa and Georgie. Elsa grows fond of Luca and sets up a trust fund for him to finance his education and study of the arts. It is 1935, and Fascism comes onto the scene. Lady Hester still believes Mussolini to be an honorable man. 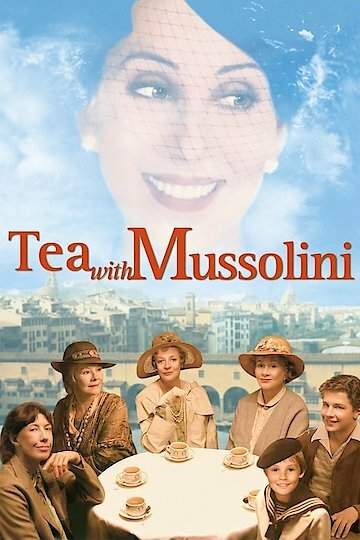 Mussolini invites the ladies to tea and assures them that they are safe. Luca’s father believes his son is becoming too British and ships him off to boarding school in Austria. Luca returns to Italy five years later, things have changed. The English ladies have been sent to a camp. Elsa and Georgie are still free because they are Americans. Elsa enlists Luca’s help with the English women. They forge papers and bribe officials to have them released and put into a first class hotel. Elsa and Luca work to get the Italian Jews out of the country. Elsa is betrayed by her Italian lover and is turned over to the Gestapo. This is the story of a group of tenacious women and how they stood up to tyranny to save one of their own. It is the story of a young boy who through the love and support of these women grew into a brave young man who stood up to evil. The lessons learned at the feet of these women would stay with him forever.